All of the below information comes directly from job reviews written by InterContinental Hotels Group employees based on 75 reviews. Be patient and be yourself. Be passionate about what you are doing. It is a beautiful programme, full of opportunities, but it demands hard-work and if you don't love it, you won't put up with it. Give one example of when you had to act like a leader. Be prepared in terms of company values etc. But also what YOU have that will add something to the company. Be yourself. You can learn the skills but it is all about your personality. Find your passion and give 100% to communicate and share it with others. Be passionate, humble and open minded. Be creative in the video round. Have all the required information in order. Keep your cover letter short and to the point. Let them know why you want to work for IHG and why you would be the right person for them. To be yourself is crucial. IHG is not looking for great resumes, but rather great people. Sure, your resume might help, but in most stages of the process I have found that they put it on the side and try to find out what kind of person they are dealing with, making sure that your character fits the company. This is also great for us as employees. Yes, the company makes sure to get the right and the best people, but it also ensures that you as a person find the right place and brand to work in. Be precise on your resume: define your objectives and your achievements with relevant data. Be able to answer this question before applying : How do you see yourself in 5 years? Be open, positive, humble and yourself. My advice will be to understand well why you are the best fit for the role and what you may bring to the company. To understand your strengths and ambition is also important when applying. To research about the company and the role. Be yourself, think about what attracts you to the particular role. Show an open mind, be flexible and have great interpersonal skills. You need to show the potential that you have to be a manager. Be honest with yourself and what are your objectives. Having first experience in the field of his application to make sure to know if suitable for career or not. Be natural, don't make up stories. Be true and never try to be someone else during the whole application process. Always smile as this is the hospitality industry. Be honest with everyone and yourself! Be ready for every step in the application process and make sure you have time to wait, since the process takes around half a year. Be very open, super friendly and mega concentrated. As IHG is strongly encouraging to be yourself and appreciate their people being themselves, this is the main advice that I would give Future Candidates. Be patient. The application process takes a while. Prepare for questions about your background and specific examples of your strong development points and again, just be yourself! It's all about the attitude. Really important to have international education or experience before. Then, be sure you have a huge availability (extra hours will be necessary for sure), be ready to focus on your job and willing to learn fast. Be yourself, show why you want the position and have fun. Write a specific letter of motivation for this position, do not copy and paste from previous ones as it will seem generic. They are trying to find out whether or not you fit the company culture, are energetic and willing to learn. Flexibility in terms of location is important. Be ready to travel a lot! To be very honest about what drives you and what you want to achieve in life/ career not to be hesitant to express your personality and not be to standard with your responses. To know the answers to what drives you and were you want to be in a few years and how you think you will get there. As well as what you can bring to the company. Prepare know about IHG, ask questions. Emphasize why this programme and the company is right for you, show that you've thought about it. As cliché as it sounds, be yourself! If this programme is right for you they will see it, it is only fair for all that you stay yourself. Chances are if you don't get selected it's not right for you, but the people you meet throughout the selection process will give you good feedback and career advice - perhaps even an opportunity for another job in IHG. Be yourself, focus on the long term. Just be yourself, they choose you according to the personal skills, and if you do not fit into the company, do not force it. Otherwise in the long run you will not be happy working for the company. Be positive and proactive, show 'can-do' attitude, be eager to learn not being afraid to make mistakes while learning, but learning from them as well, be willing to take responsibility. Smile a lot, be open, be confident in what you say and do, show genuine care about / interest in the job, working process and colleagues - you will have to show all these qualities serving guests, dealing with colleagues from other departments, leading your team. Simply be yourself. IHG employs you for who you truly are. Don't be afraid of showcasing who you are even outside of your working environment. What do you do outside of work? Tell me about a time that you exceeded expectations? Tell me about a time when you were leading a project? Show your convinction for the programme, that you have given it thought. Be knowledgeable about the company and show interest in the specific programme, you will be quickly filtered out of the selection process if this is "just another interview" for you. Company history but also very important company culture, "winning ways"
Do not exaggerate language skills. Be yourself and natural! Really showcase who you are, selectors are looking for candidates who will fit in the company and for whom working at IHG is a right fit, so it is only fair for IHG but also to yourself that you be genuine! Be able to give examples of your behaviour in certain situations (STAR interview technique). Don't be scared to ask questions about the programme and life at IHG. 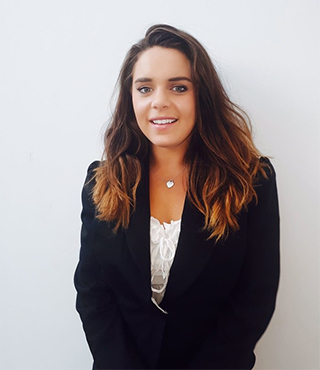 I do not mean just superficial questions such as salary and working hours, I'm referring to questions about what the programme can offer you or about the interviewer's experience with IHG (there are tons of impressive career development stories in IHG!) This can again demonstrate to what degree you are interested in working for this company and joining the "Winning Ways"
Stay true to yourself. Be open-minded and display a positive attitude. Have some previous experience in the hospitality industry - it will give you an advantage. Be passionate about hospitality, otherwise it's not going to be fun. First and foremost be yourself - don't pretend to be someone you're not. Show that you can think strategically and analytically, that you enjoy working with other people, that you are driven and that you are motivated to do this job. Before applying to ensure you are passionate about Hospitality and willing to work hard, get prepared for each stage of the application process and ensure your skills and work experience match the job requirements. Make sure to be yourself. That way IHG sees if you are a good match, but more importantly, you see if IHG is a good match for you. Definitely apply. The process is quite long and thorough but it's worth it because it shows how much time they are willing to invest in their staff. Be yourself. IHG employs people for who they are. Don't be what you think they want ! Be yourself. If they don't want you as you are, you surely will not want them. Be ready to work a lot and be ambitious, but above all, be yourself! It´s a tough and challenging application process. Thus, you have to be yourself and don´t pretend to be someone you aren´t. It sounds cliche, but it´s true! 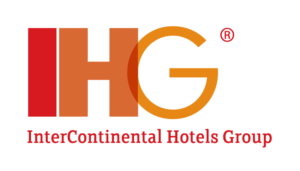 IHG are searching for genuine personalities and future leaders. Present a clean CV, don't hesitate to refer to personal contacts who might be in contact with your recruiter, don't try to impress on your CV and application. Write something very personal to the brand itself on your motivation letter, it will show that you care and definitely want to work for IHG. Be yourself and show that you are passionate. Don't try to wear a mask a play a role, they will notice it. The application begins with creating your digital profile on the internet platform. An efficient CV content will be key to get noticed here and proceed. There will be several interviews before the final step of the application process - the assessment centre - and an online test. For the online test, thoroughly prepare with the information provided by assessors and make sure you have plenty of time at your disposal for the test. It's all about your personality and soft skills: Don't try to be someone you're not - this will be easily revealed and observed in the intense assessment centre. Try to shine through performance and initiative - but don't overdo it, stay humble and respectful. The assessment centre will send you in multiple situations where you will need to demonstrate how you interact with others (one person role play, group role play, presentations, interview, case studies,...). Know your answers to expected interview questions (weaknesses & strengths, successes, challenges, examples of project works, team work). If you want to be successful and have a great career, make sure that you are flexible and that you are willing to push hard at work. It will be recognized and you will be rewarded. Be genuine in your responses and in the way you behave. It is important that you allow IHG to see who you really are, in order for them to see if you are a match. It also allows you to see if IHG is a good match for you. Make sure you know our IHG values, assessors tend to look for the person who will join and fit in with the team. Selection process includes 2 phone interviews, one of them is competency based online tests and assessment centre. Don't fake it, if you love and understand the world of hospitality and you picture yourself as a leader in it, this is what will help you go through different assessment stages. Show that you are a team player and be yourself. Be prepared for situational questions and know the company! Be yourself. Any attempt to alter your personality or traits will only harm you in the long run. Honesty is highly underrated in general, but it seems that here it isn't. Being yourself, eager to learn every day, working hard and being flexible to take every opportunity to work on new projects. Being ready to share as many concrete examples about previous experience as possible, being ambitious, not pretentious and simply showing passion for our industry. Ensure you have a passion for hospitality and the ability to find solutions to problems independently. You will be given responsibility early on. Be open-minded, flexible and curious. What is your experience with working in a team / leading people. Attempt to understand the values and mission of the company to better mold your CV into highlighting the important similarities between your values and that of the company. Be Yourself. As cheesy as it sounds you want to make sure they hire you for who you are rather than how they want you to be. If it doesn't work then you know it was not meant to be. It is the second biggest Hotel Group in the world, which gives a wide ranch of opportunities worldwide. The fact that sometimes some things are so standarized, which gives you a smaller chance to improvise and being creative.